How many roads must a man walk down, before you call him a ... Nobel Prize-winning songwriter? It's a question being asked increasingly in literary circles, as the annual debate over who should win the Nobel Prize in literature — to be announced Thursday — tosses out a familiar, but surprising, candidate: Bob Dylan. While many music critics agree that Dylan is among the most profound songwriters in modern music, his repeated nomination for the Nobel Prize has raised a vexing question among literary authorities: Should song lyrics qualify for literature's most prestigious award? Christopher Ricks, co-director of the Editorial Institute at Boston University — and an avid Dylan fan who has written scholarly papers on the songwriter's work — said the question is "tricky." "I don't think there's anybody that uses words better than he does," said Ricks, the author of highly regarded works of literary criticism such as "The Force of Poetry" and "Allusion to the Poets," as well as books on T.S. Eliot, Lord Alfred Tennyson and John Keats. "But I think his is an art of a mixed medium," Ricks said. "I think the question would not be whether he deserves (the Nobel Prize) as an honor to his art. The question would be whether his art can be described as literature." It definitely can, said Gordon Ball, an author and literature professor at the Virginia Military Institute in Lexington, Va. — who has nominated Dylan every year since 1996. "Poetry and music are linked," Ball said. "And Dylan has helped strengthen that relationship, like the troubadours of old." The Nobel Prize in literature is given out annually by the 18 lifetime members of the 218-year-old Swedish Academy. Candidates can be nominated by members of other literary academies and institutions, literature professors and Nobel laureates. Each year, the Swedish Academy receives about 350 nominations for about 200 different candidates, which is narrowed down to about five finalists. The winner is announced in October. The finalists, except for the winner, are not revealed for 50 years. Speculation in the literary world is that the 2004 winner will be a woman, something that has not happened since 1996, when Polish poet Wislawa Szymborska was honored. Some names emerge time and again, including Lebanese poet Ali Ahmad Said, also known as Adonis, and several women, including Danish poet Inger Christensen, novelists Margaret Atwood of Canada, Algerian Assia Djebar, American Joyce Carol Oates and Britain's Doris Lessing. 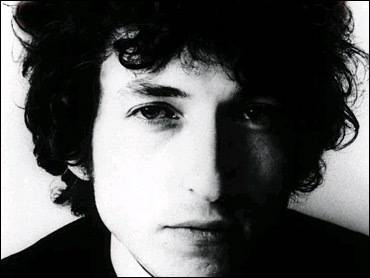 Ball said he first nominated Dylan after the writer Allen Ginsberg urged him to do so. Ginsberg, a Beat poet whose literary circle included Jack Kerouac and Neal Cassady, nominated Dylan in 1996. "Dylan is a major American bard and minstrel of the 20th century" who deserves the award for his "mighty and universal powers," Ginsberg wrote in his nomination letter, which Ball read to The Associated Press. The literary value of Dylan's texts are also supported by The Norton Introduction to Literature, a textbook used in American high schools and universities, which includes the lyrics to Dylan's "Mr. Tambourine Man." University of Virginia professor Alison Booth, who co-edited the anthology, said she doesn't "have any trouble at all considering (Dylan) for a literary interpretation." "Literature has historically been defined very broadly," Booth said. "I don't think we're testing some radical limits of literature by putting that in." Several collections of Dylan's lyrics have also been published as books. Still, most Nobel watchers say it's unlikely the Swedish Academy — traditionally drawn to novelists and poets who are often out of the mainstream — will expand the scope of the prize to include songwriters. "If so, it would be in a fit of marvelous free-mindedness," said Svante Weyler, head of one of Sweden's largest publishing houses, Norstedts. "It would be very surprising." In 1997, the prize went to Italian playwright Dario Fo, whose works also need to be performed to be fully appreciated, some say. And when Winston Churchill received it in 1953, for his historical and biographical writings, the academy also cited his "brilliant oratory" skills. While the academy never discusses individual candidates, Carola Hermelin at the academy's Nobel Library said songwriters are not excluded from the prize. "Song lyrics can be good poetry," she said. "It depends on their literary quality." But Weyler said he was skeptical about including songwriters. "Then you're categorizing everything that includes words as literature," he said. "Literature should not have to be read by the author for it to be good."